The Autumn Tournament starts on April 24th. Please email Daniel Johns, [email protected], who will be running the first round - please help him by entering early so we can set the Vega files up in advance and start promptly on the night. Unrated players will be given an estimated rating for pairing purposes. Check the Schedule link for more details. House-keeping notes: there is no longer a $1 playing fee on Wednesdays. There is no coffee break but you can make yourself tea, coffee or Milo at any time. Use the mugs provided and put them into the dishwasher when you have finished. There will be biscuits! Other queries: email Helen: [email protected]. Here is an entertaining queen sac from the second round of the Rapid, and also some information on how to win R+B v R for the benefit of certain other players in round 2! Our AGM was on March 20th. Committee Members: Richard Aylett, Paul Garbett, & Ralph Hart. Please note that the colours and the order of rounds are not necessarily correct, as the Vega files were constructed after the events. The C-grade is missing some results (which I will add if I am given!). This resulted in a very narrow win for the President's team! Full results on Vega (please note that the colours and the order of rounds are not necessarily correct, as the Vega file was constructed after the event). 2019 Schedule: The club re-opened on Wednesday 23rd January. The schedule can be found at the link (on the left). Junior Club re-started on Friday 25th January. Check out the Junior Club link for puzzles to practice! We now offer some formal coaching at Junior Club for an increased charge of $5 per evening. Basic tuition is still available at $2, as before. 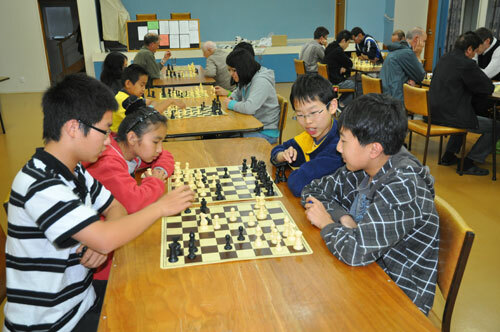 The North Shore Chess Club was founded in 1956 and has been supporting chess on the North Shore and the Auckland region since that date. From our current premises in the Northcote Senior Citizens Association Hall, on the corner of College Rd and Ernie Mays St, we hold our club nights every Wednesday, from early January through until mid December. Organised tournament play starts at 7.30pm, but casual visitors can sometimes find an opponent. If you would like to know more, please contact the Club President, Helen Milligan, details listed below, or just turn up! We also run a junior tuition night on most Fridays, starting at 7pm. This is aimed at junior players looking for some guidance & tuition. North Shore CC, P.O. 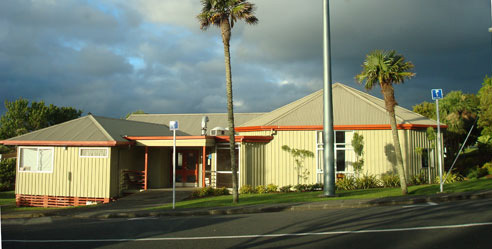 Box 33-587, Takapuna, Auckland 0740. 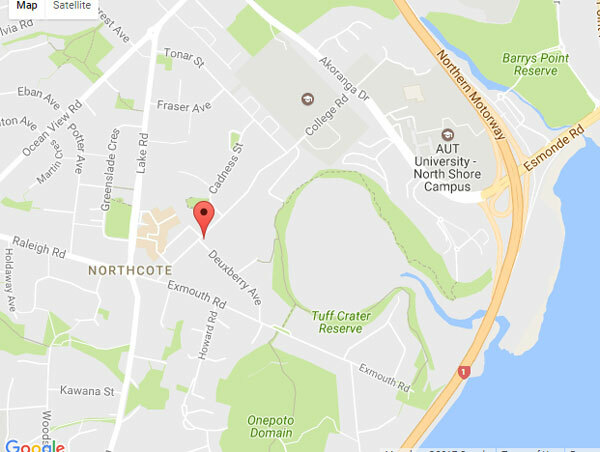 Meets Wednesdays 7.30pm, Northcote Citizens Centre, cnr College Rd/Ernie Mays St, Northcote (see map, below). Junior tuition: on Fridays from 7:00pm. President and Contact: Helen Milligan, email [email protected]. Secretary: Daniel Johns. This is the venue. There is plenty of parking available nearby. Events are scheduled throughout the year. The annual subscription is $80 (schoolpupil $50; $30 if playing only in the Junior Club).